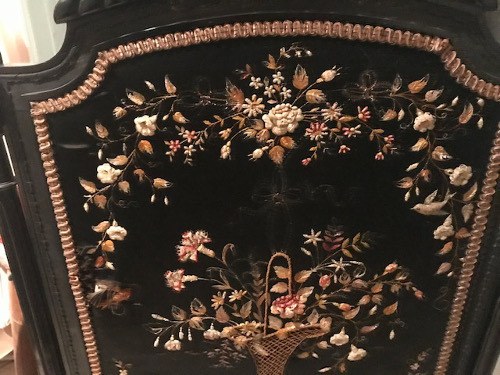 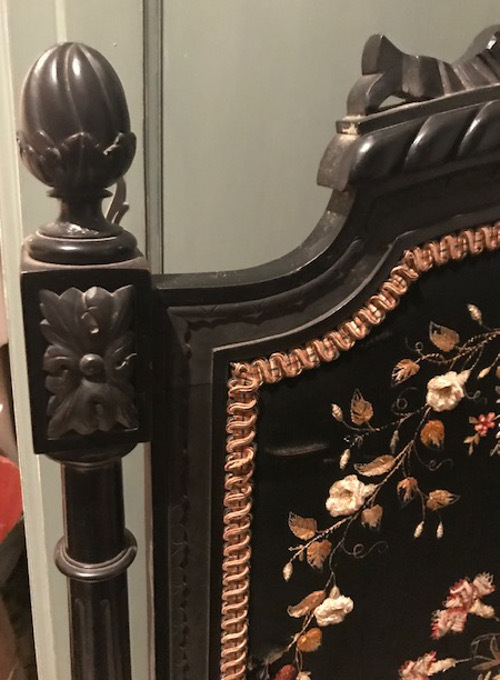 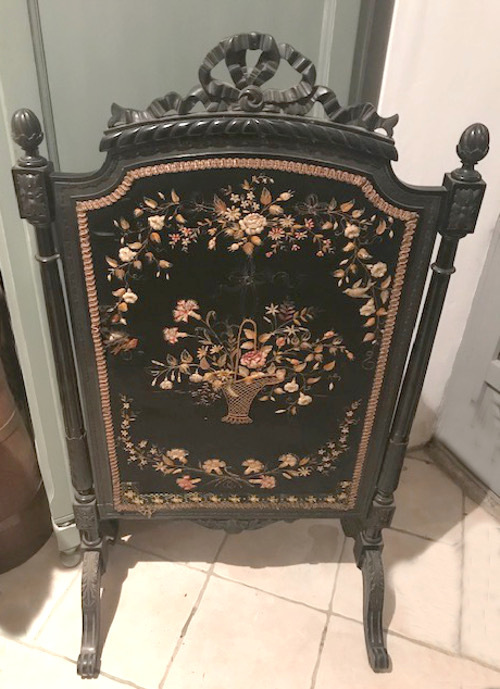 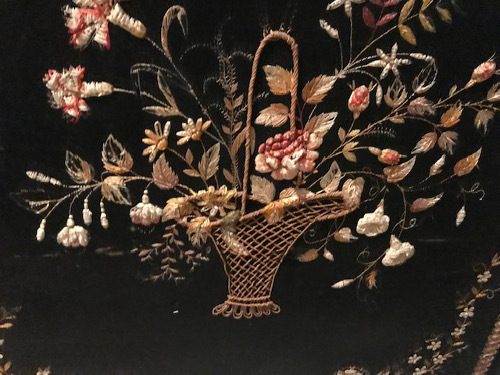 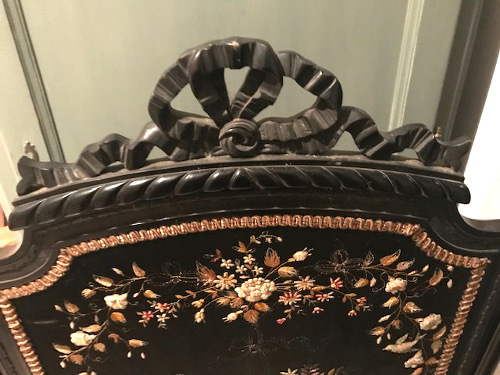 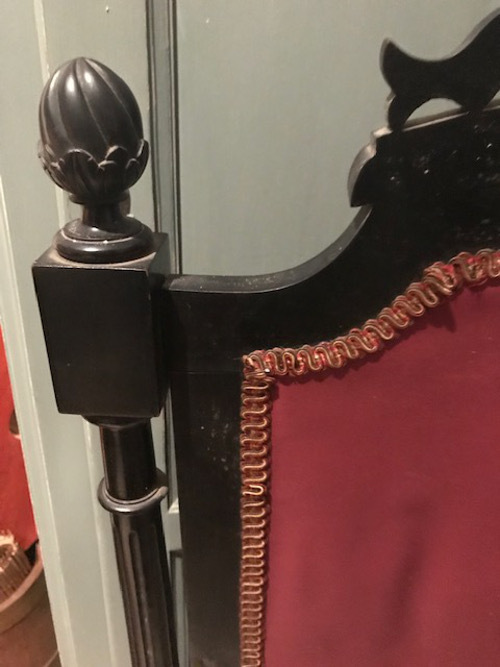 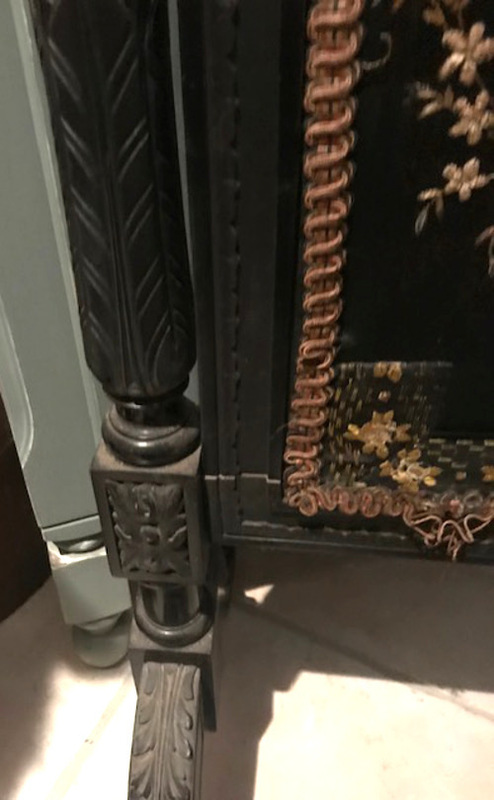 Beautiful French Antique Louis XVI style ebonised wooden firescreen with Silk embroidery. 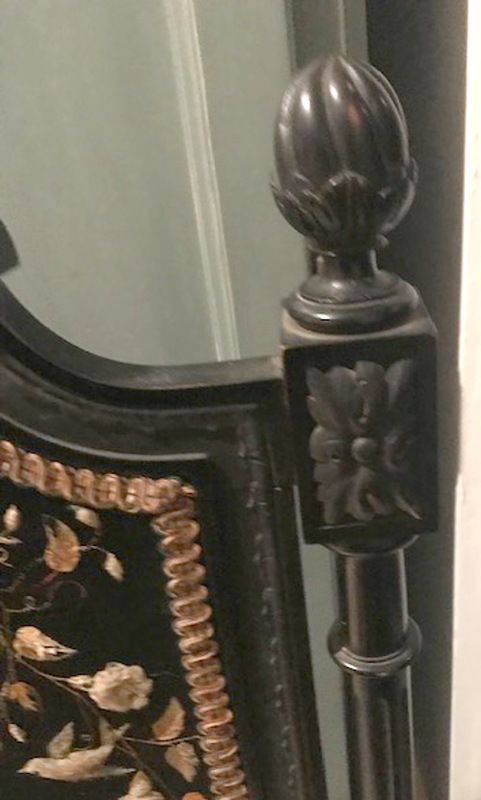 Featuring a carved wooden bow to the top and finials to the corners. 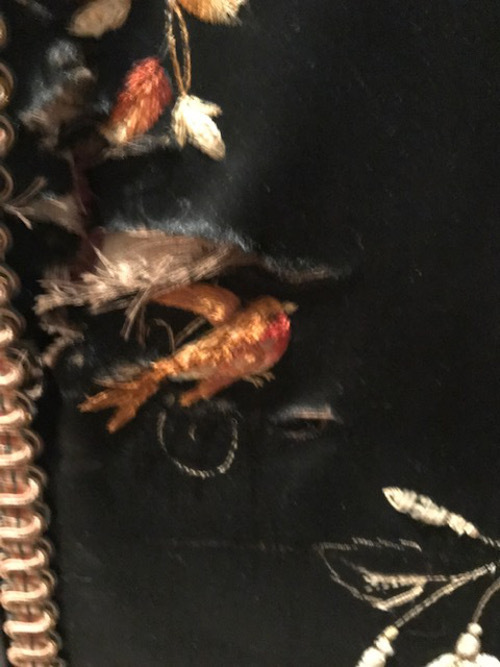 which is in keeping with age. 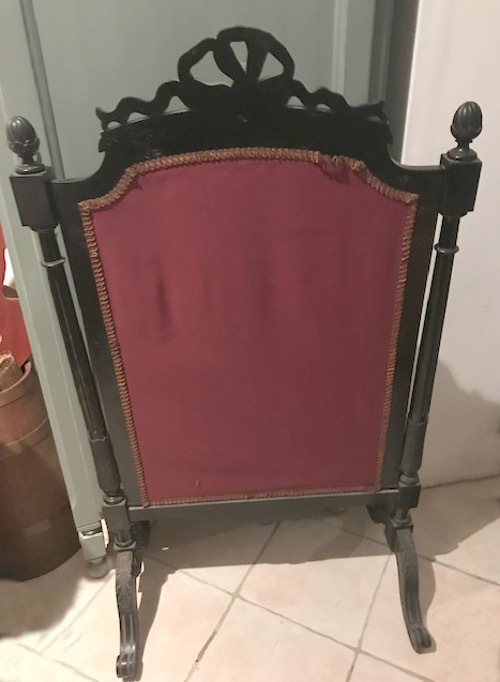 The frame is in strong and sturdy condition.